Ross & Cromarty Roots | Colin & Elsie (Millar) Campbell. 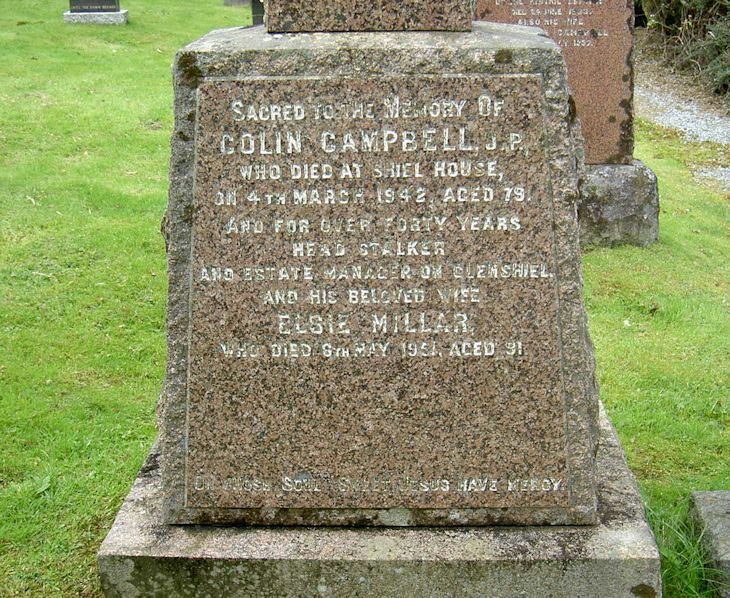 Colin & Elsie (Millar) Campbell. Sacred to the memory of/COLIN CAMPBELL J.P./who died at Shiel House/on 4th March 1942 aged 79/and for over forty years/head stalker/and estate manager on Glenshiel/and his beloved wife/ELSIE MILLAR/who died 6th May 1951 aged 91. On whose soul sweet Jesus have mercy.